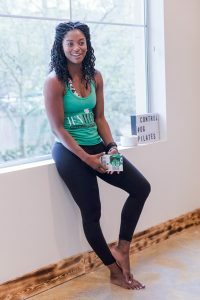 Last month, I teamed up with Control Studios, a classical Pilates Studio in Houston and Kathleen Funk, Acupuncturist & Herbalist to facilitate JENuine Nutrition’s first Self-Care Workshop of the year. 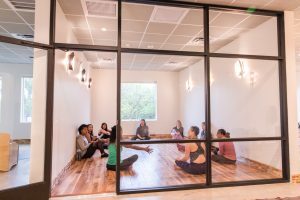 Together we created a safe place that cultivated such amazing energy for relaxation, self-love, and expression. Self-Care is often overlooked in regards to being an intricate part of your health and well-being, which is why I included it with the Four Pillars of Health I created. I believe if you don’t love yourself, you don’t take care of yourself and it is my mission to show this important correlation and help people love themselves to better health! 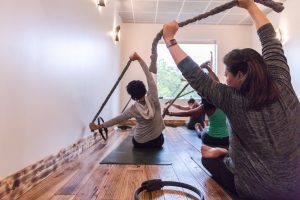 During this workshop, Kathleen led the group through a meditation called Qigong (“chee-gong”) that helps calm the mind and prepare the body for the next segment that included Courtney of Control Studios leading the group through a Pilates circuit that helped strengthen the center. Afterward, I shared the link to how Self-Care affects your health and tangible ways to implement it daily. So, what’s something you can do TODAY, to show yourself a little more love? Love yourself to better health! 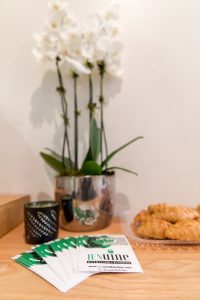 To book a Self-Care or Wellness Workshop at your next meeting or gathering, contact me at info@jenuinenutriton.com and to stay updated on upcoming Workshops and other events, don’t forget to sign up for my newsletter!